We work our tails off to make sure you’re nothing less than ecstatic with our Computer Helpers. We strive to be friendly, kind, smart and hard working… and our customers have noticed. Take a look at what others say about us. If you’re already a customer of ours and want to share your experience, click on one of the logos below and tell your story! My laptop shut down after I installed the Windows 10 upgrade. Took it to the Microsoft store first thinking that they had a clue on what to do…but of course 2 hours later they said I would need to leave my laptop for 4 days and they would need to reinstall the operating system and I would need to reload ALL of my programs. Fortunately I found Zack at SD Computer Help and he was able to restore everything within 24 hours and everything is back to normal. He is now my go to guy for anything computer related for my business, as he was professional, timely, and fair on the price. Kyle was such a knowledgeable and nice guy! I was having security issues and bugs, a slow computer he was on time/ relatable/ gave amazing advice / is helping me to purchase my next computer (which is due soon). He gave me a few recommendations. I feel like I’d call him back just for an hour of “what does this mean?” What about when this pops up? Do I click yes or no?” And I wouldn’t mind paying for it, because it would be life-long help to computer language I don’t speak. He’d make a great tutor. Amazing company.Very professional. Kyle did such an awesome job for fixing all the problem we had at our office. He was very quick for getting his job done even though there were many many different problems.He also explained everything He did clearly so even i could understand! When I called him the next day for having some problems connecting printer to network, he came by and fixed some more problem for no charge. Also the pricing was reasonable too! I will definitely recommend this company!5-star thank you! If you’re tired of twitchy, untrained geeks charging a small fortune, making you wait weeks, and still not solving the problem, give us a try. We’re confident that you will truly be elated. San Diego Computer Help started with a dream. A dream of a world without condescending computer guys who don’t know how to follow through. A world where a computer technician show up when he says he will, does what he says he would do, and listens to what the customer is saying. San Diego Computer Help is just a group of regular guys who know computers. And smartphones. And electronics. We know Apple, Windows and Linux. Windows 2000 to Windows 8, Windows NT to Server 2012 R2. iOS to Android. We can help you think things through, plan your technology and make your life easier, technically speaking. 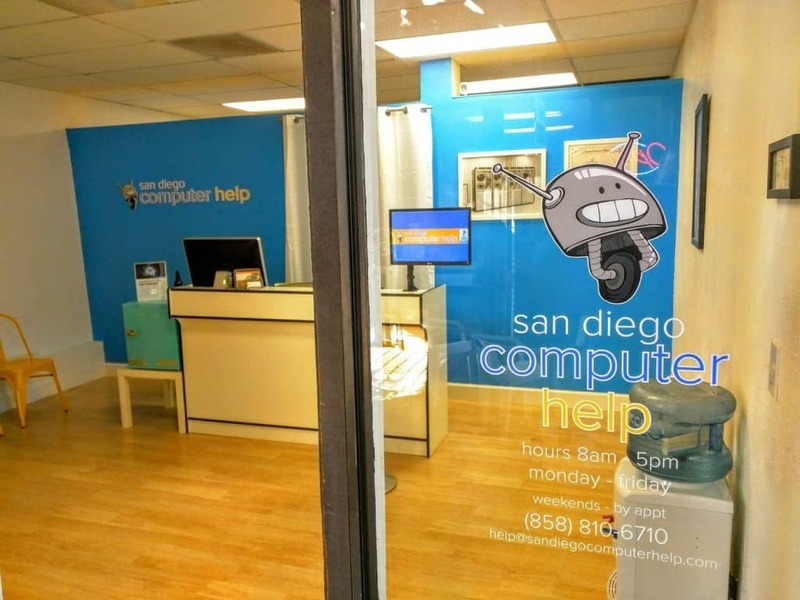 If you’re looking for the most friendly, honest and smart San Diego Computer Repair company, look no further.